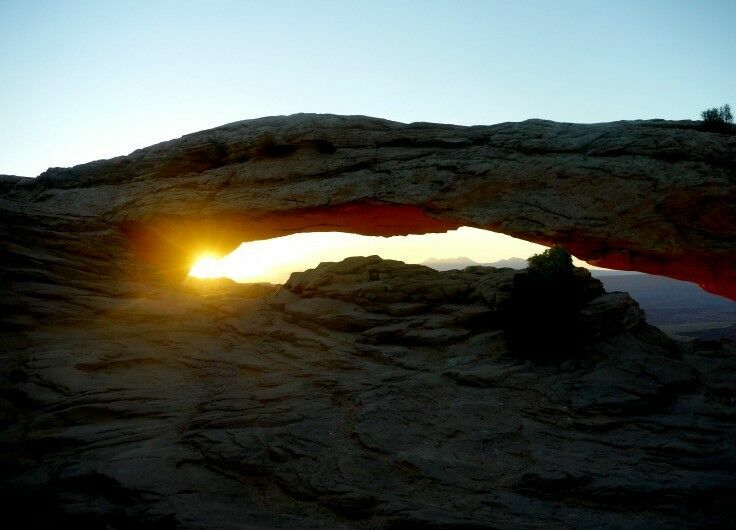 As it turned out, photographing Mesa Arch at sunrise was not only a shot of a lifetime, but a life-lesson as well. Full disclosure: Before we arrived on the scene, I had no idea that photographing Mesa Arch at sunrise was such a big deal. 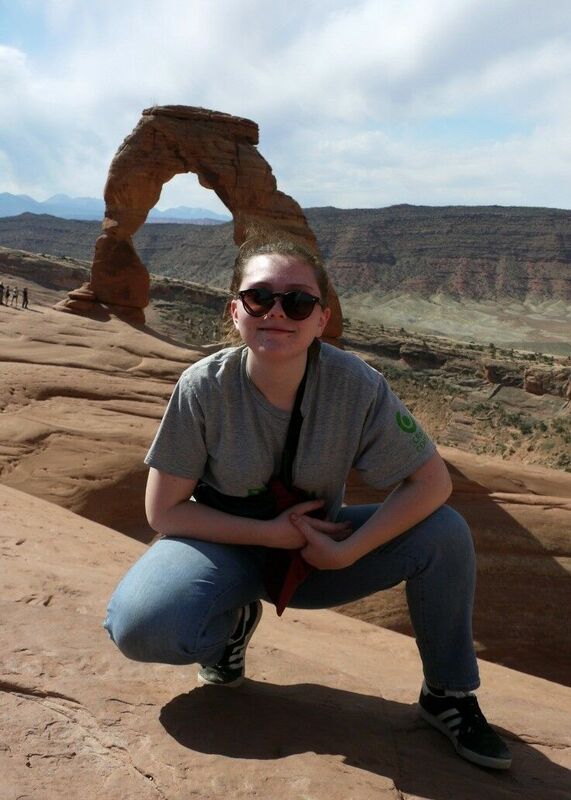 Our photog-daughter, who organized our trip, simply told us that we were going to a really cool place to take sunrise pictures. Since she had been to this location a number of times before, I didn’t do my routine pre-trip research. 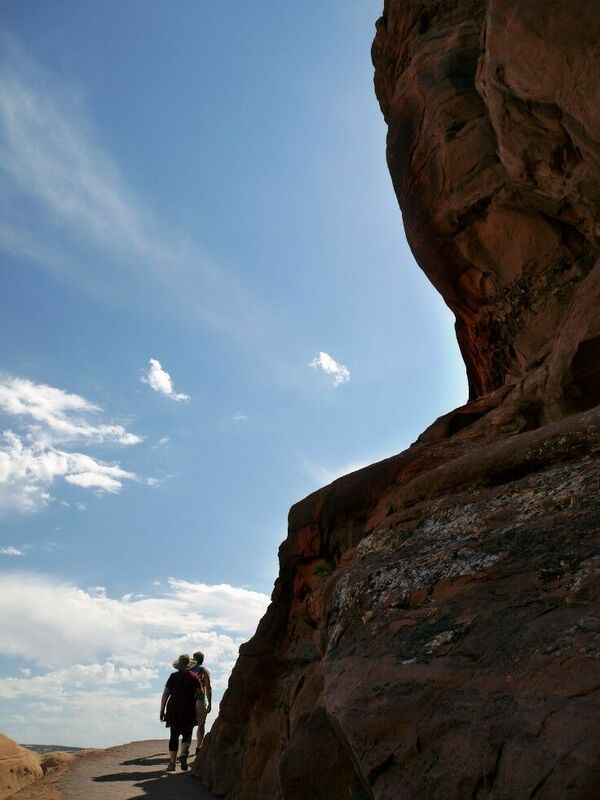 Luckily, it all worked out great and I’m excited to share our adventure and tips for photographing Mesa Arch with you. But before I do that, I want to share a little story. 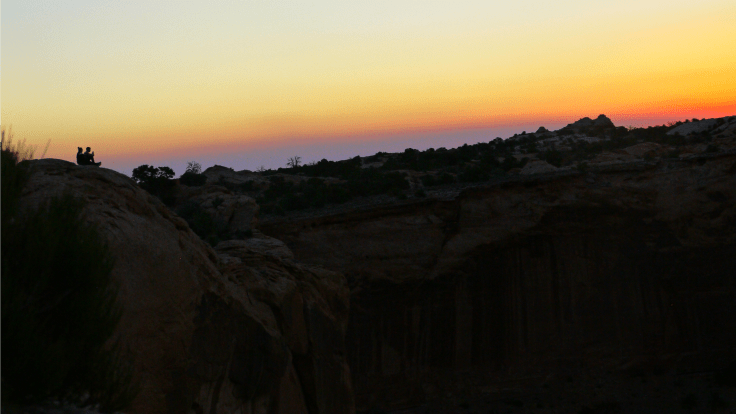 We arrived at the parking lot at the Mesa Arch Trailhead about an hour before the first hint of sunrise shrugged up the horizon. 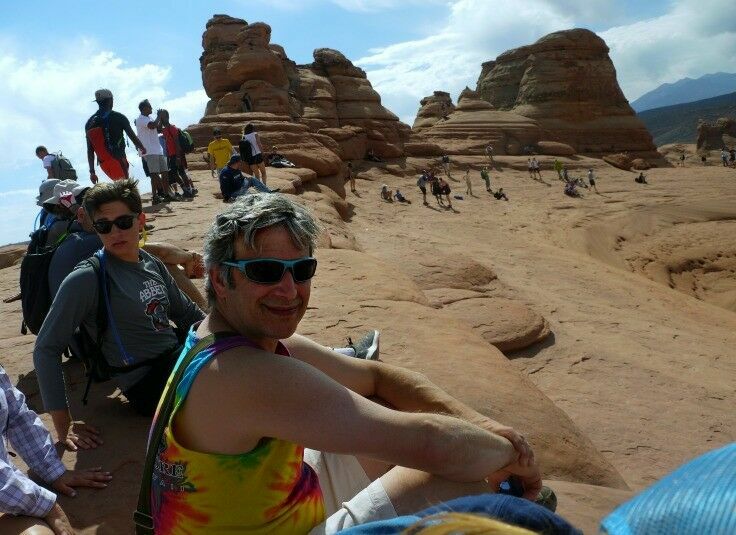 Mr B and I made the short hike to Mesa Arch in about eight minutes. 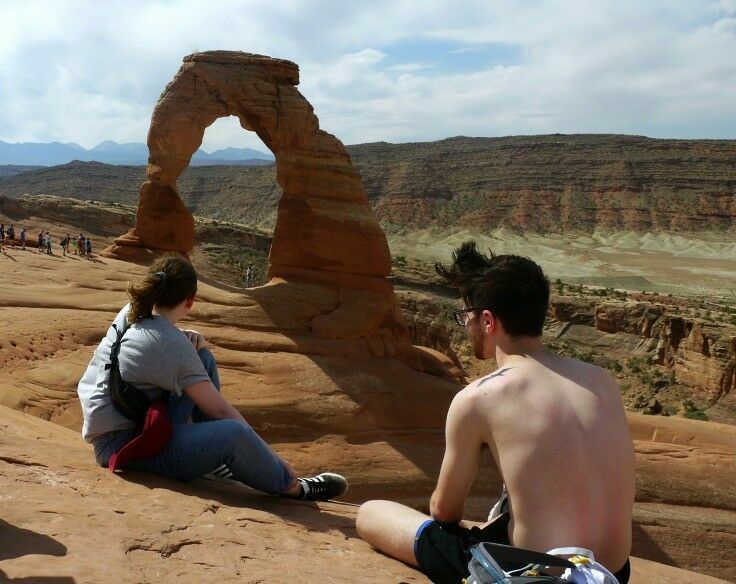 Our (mostly adult) kids were way ahead of us, and as we arrived, we found them momentary stopping under the arch for the requisite selfie. 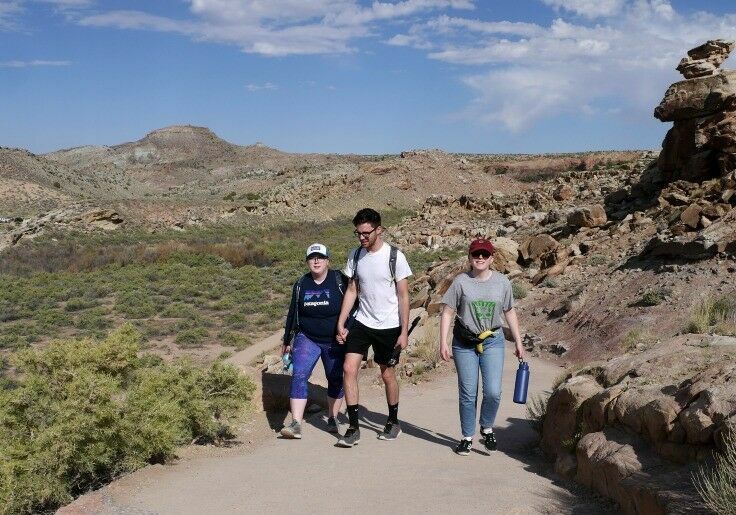 As we maneuvered the uneven ground between the trail access and the arch to meet them, I passed an older man (older than me, at least) who was visibly agitated. His ire seemed to be directed at our kids, and I had no idea why. “Get outta there!” he shouted at them, waving a hand in the air like an umpire calling out a batter. They were already moving away from the arch before he called out. “Damn kids, trying to ruin my shot,” he muttered to me, by way of explanation. He had no way of know they were with us. 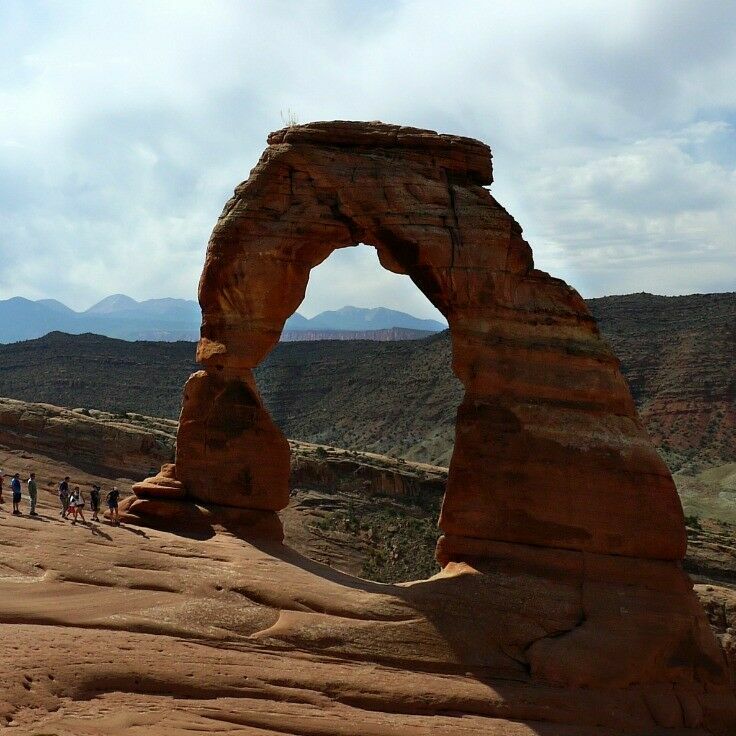 “Seems they were just catching the moment,” I replied, nodding toward the now empty Arch. 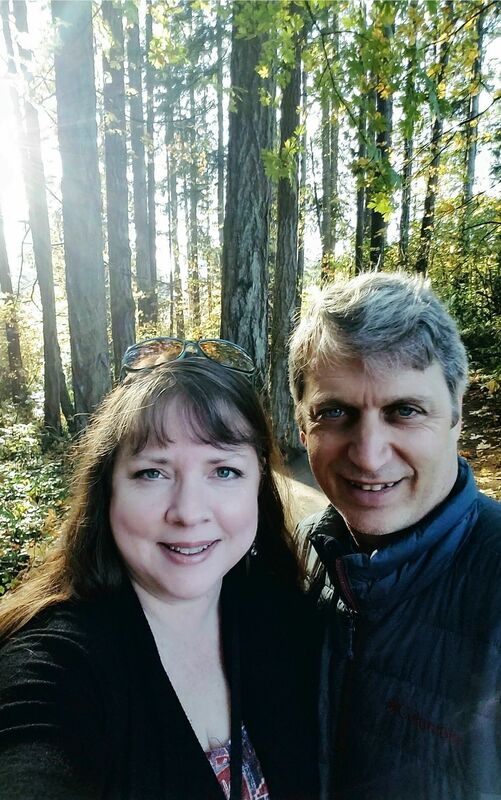 “Dad…” she interrupted, using the same tender tone I once used with my own aging father in times of frustration. “But I’ve been waiting a lifetime to take this shot.” I heard his voice break ever so slightly. “I know, Dad.” She patted his shoulder, and his face softened. Together they went to set up before the inevitable crowd arrived. We spent the next hour watching the crowd gather and set up. I kept an eye and ear on the old man, who seemed to snap to life when the camera equipment emerged. I watched him carefully set up his tripod, and adjust it so that he had a prime, unobstructed shot right through the arch. I watched him lean in to his daughter as they considered the optimal angles and adjusted their camera settings. By the time the haze on the mountains started glowing, he had every detail plotted out. 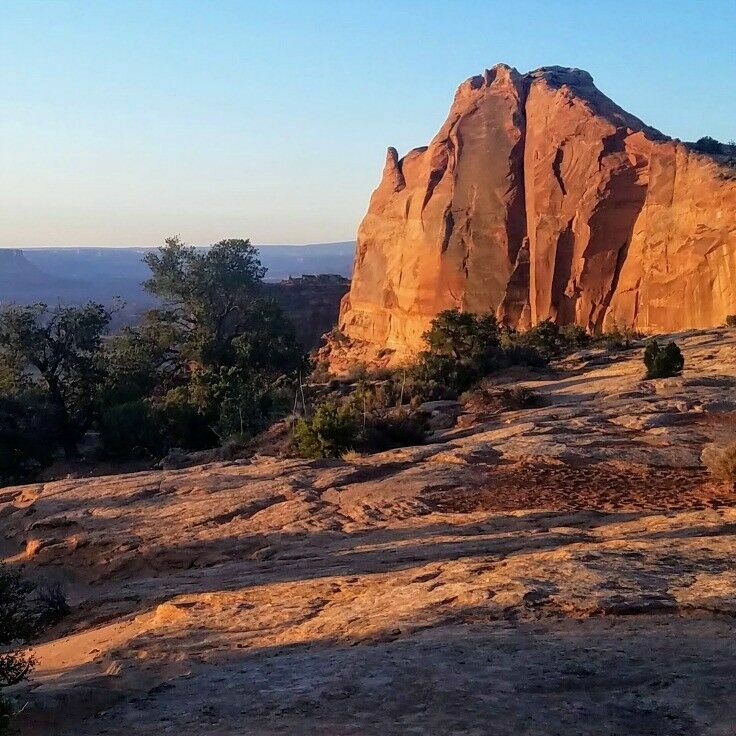 I was surprised when, as the sun began to rise over the mesa and light the La Sal mountain range beyond the arch, the old man motioned me over. I nodded, grateful for the lesson. 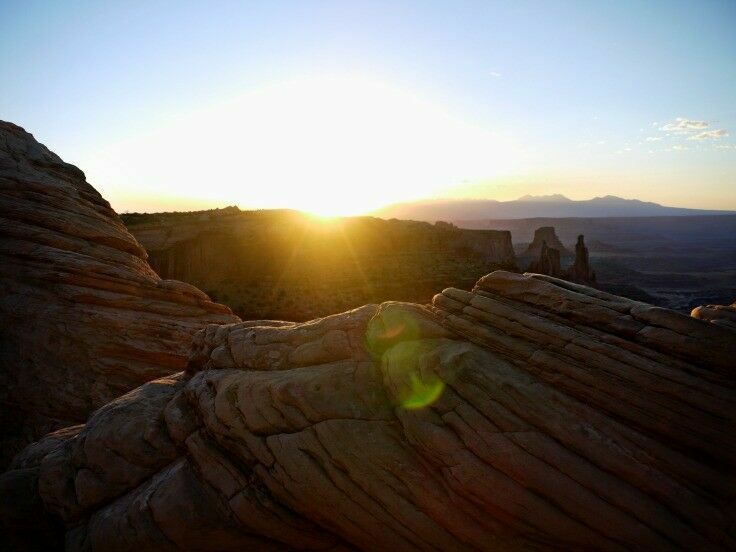 Set your alarm so that you can arrive at the trailhead at least an hour before sunrise. This will allow you to catch the first glow on the horizon. 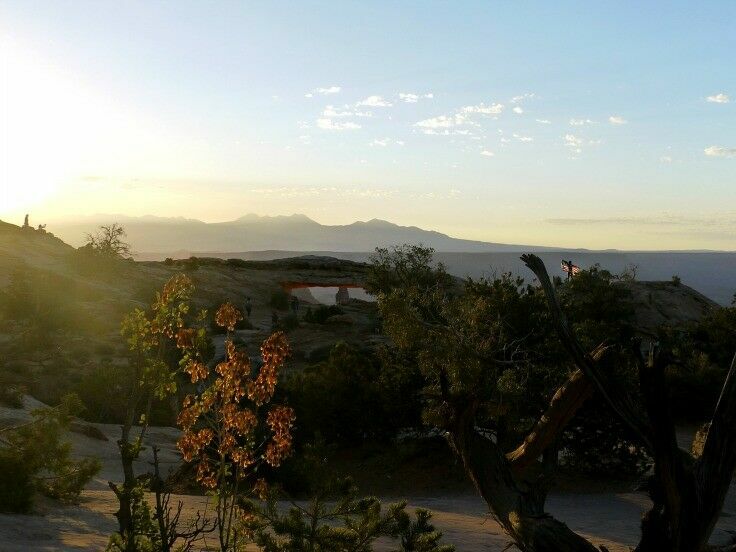 It also gives you plenty of time to adjust your camera settings, and figure out where you want to be when that much-anticipated sunstar pops through the arch. 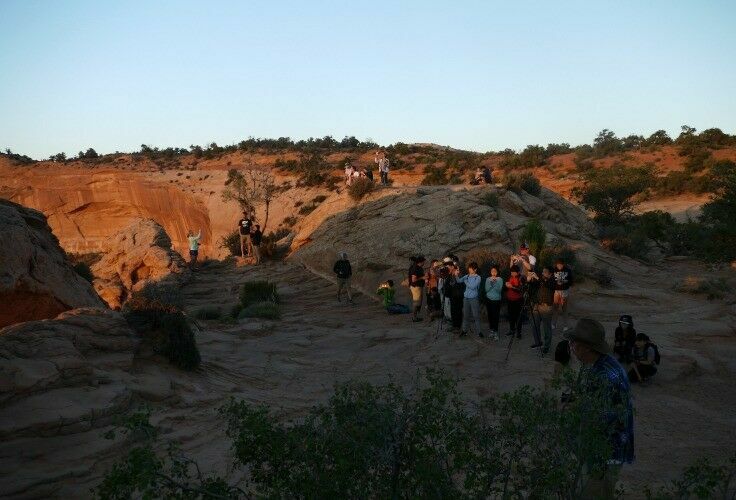 Note that the trail into Mesa Arch, which will take you about ten minutes, is very dark before sunrise, so take something to light your way. A headlamp or flashlight are both good choices. Sure, you can use your phone, but don’t blame me if you run out of juice in the process. 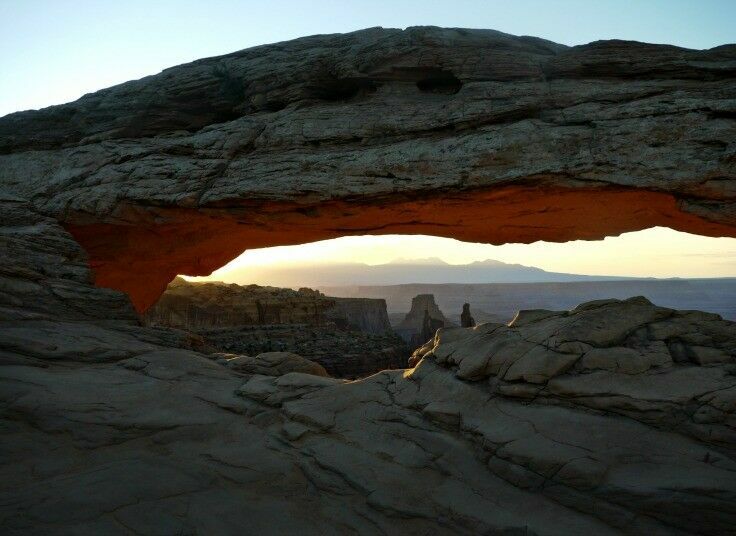 A tripod is helpful for photographing Mesa Arch in two ways: first, it allows you to stabilize your camera in the low light conditions and take awesome pictures. Second, it helps you stake your claim. 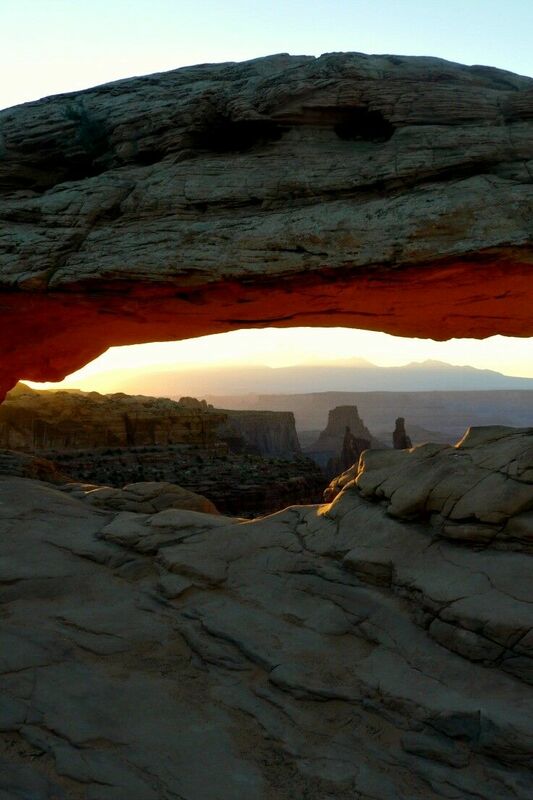 If you watch the light when you are photographing Mesa Arch, it’s difficult to take a bad picture. Doing so, however, will require you to move occasionally. If you don’t heed any other information here, do this. 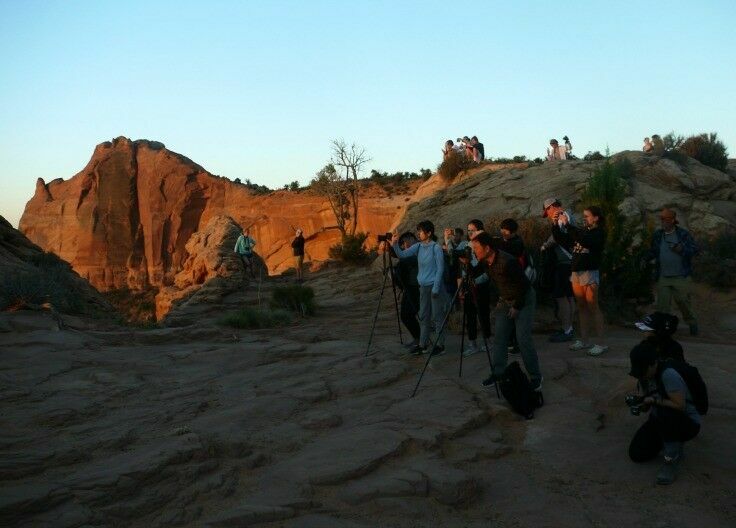 The biggest surprise I got while photographing Mesa Arch was the number of people who snapped the money-shot – that sunstar coming through the arch – and then immediately packed up and left. It’s literally like watching the first pop of fireworks on the 4th of July and leaving before the rest of the show. Why would you take all the time and effort to get up early and drive out into the desert, just to snap one or two good shots and walk away? I don’t get it. My best advice: stay at least 45 minutes after you see that sunstar. 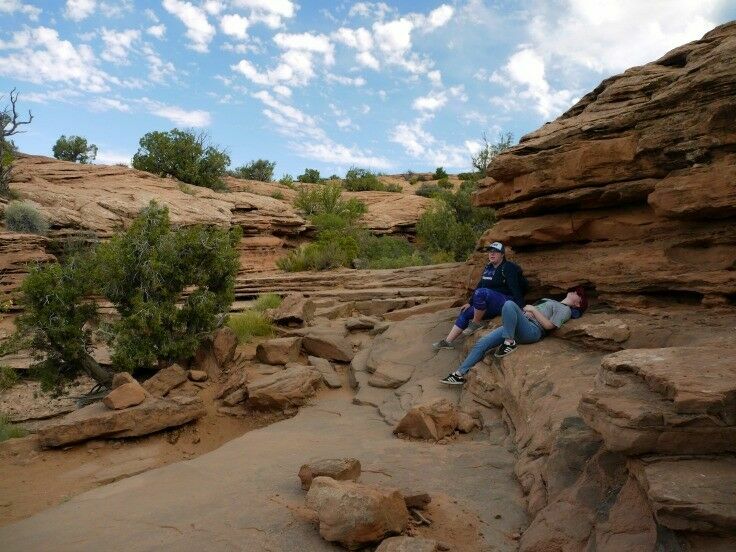 It just so happened that our visit to Canyonlands fell on the morning of July 4th. Just as we were heading back on the trail to return to our car, I turned back one last time to take in larger scene behind us. At that moment, someone standing on the rise next to the Arch rose up and stretched out, revealing the American flag they’d had wrapped around them. They then turned and hopped down to join their friends on the ground below. The whole movement took less than five seconds, but somehow I managed to capture it. The image is below, and is one of my favorites from this trip. There are two maxims I strive daily to follow. (I’m not always successful, but I try.) The first is, Be Kind. The second, Be Present. That means putting everything down and just being there in the place with the people. Take some time to put your camera down, and take in the spectacular show that the universe is putting on for you. Mesa Arch Photo Tips [Fototripper] – This post has some good technical info, including recommended equipment and panorama tips. 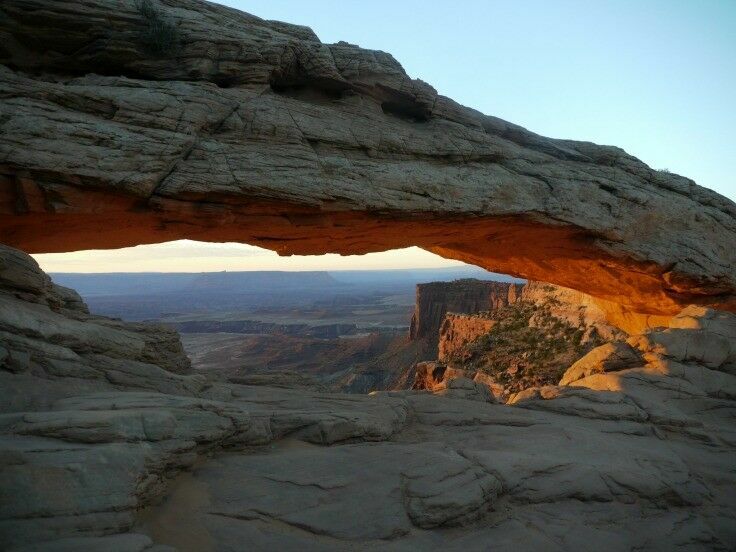 Mesa Arch: The Southwest’s Best Photo Op? [Firefall Photography] – Great info on camera settings. 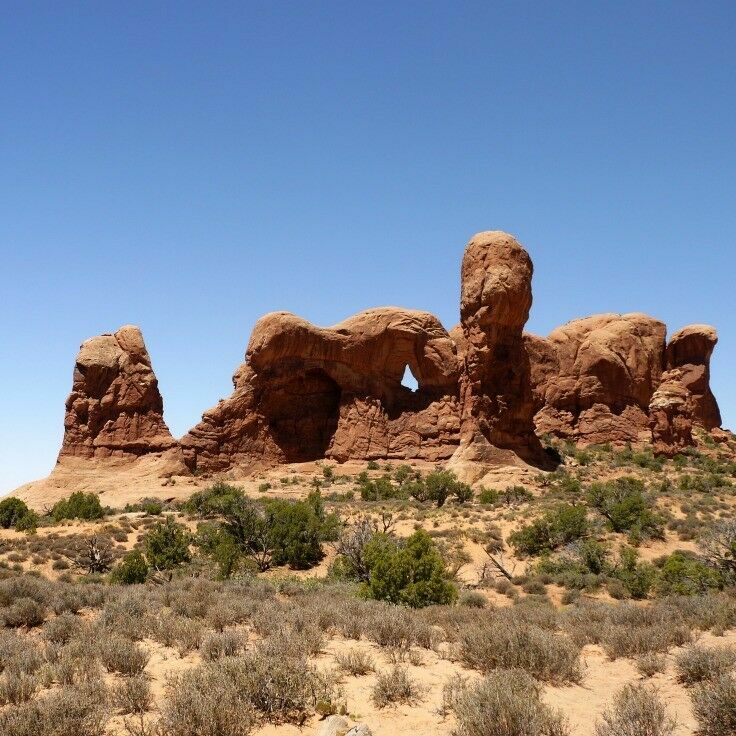 Mother Nature is a master sculptor and in no place is that more evident than at Arches National Park. 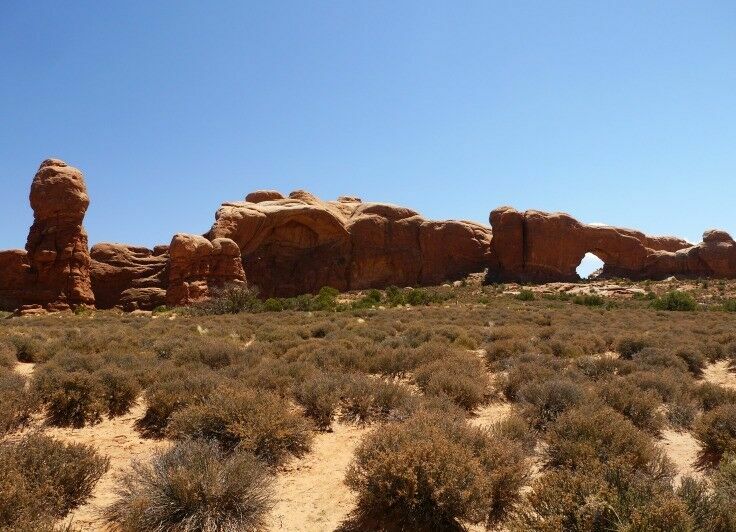 When I first set eyes on Arches National Park, it reminded me of what the “alien planet” sets on the original Star Trek series might have looked like if they had had a bigger budget. 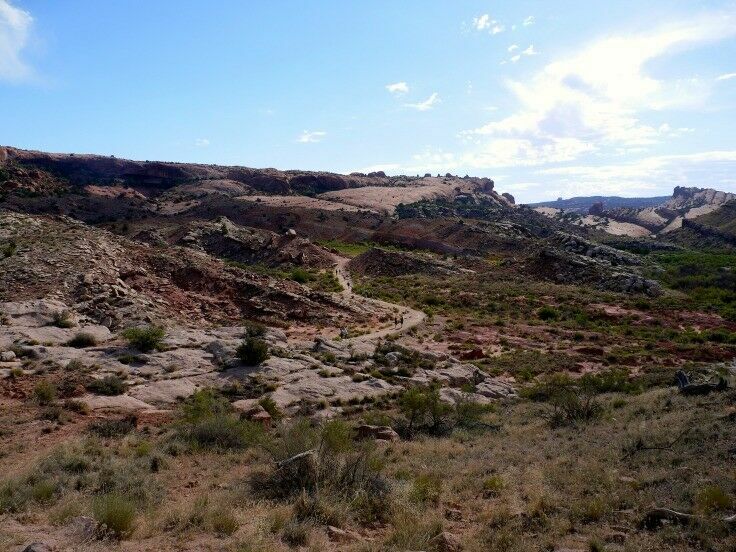 As we traveled through the park, I was fascinated by all of the artistic inspiration and rich color painted across the desolate high desert landscape. 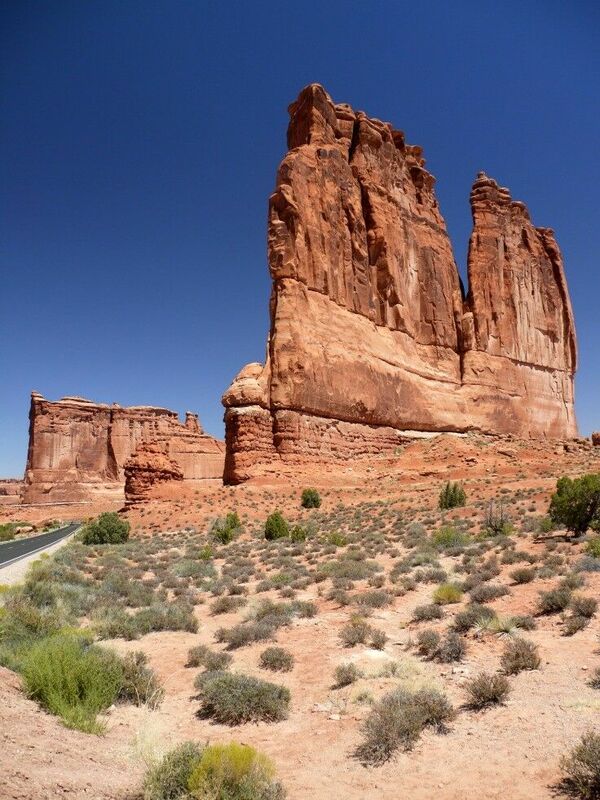 Everywhere I looked, sandstone towers reached and arches bowed; their orange, rust, and red bands constantly shifting in the sun’s sweeping path. 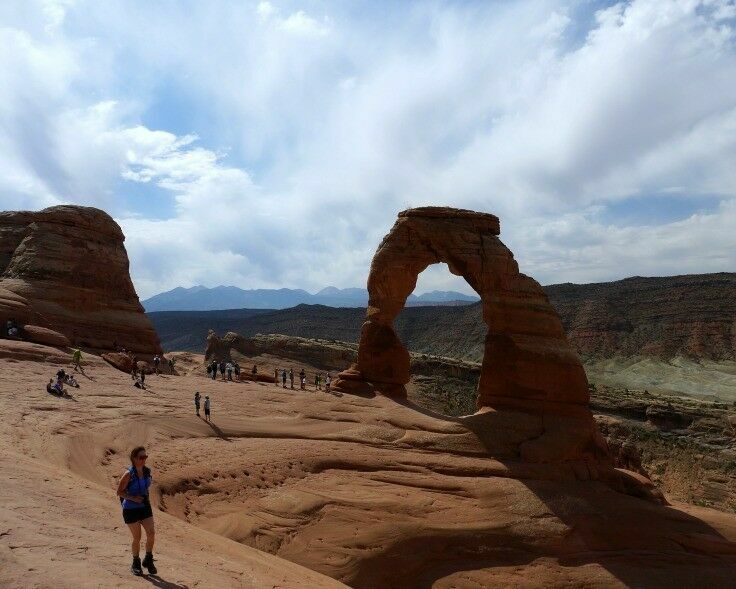 Delicate Arch, iconic to Utah, is the most famous – and most photographed – arch in the world. 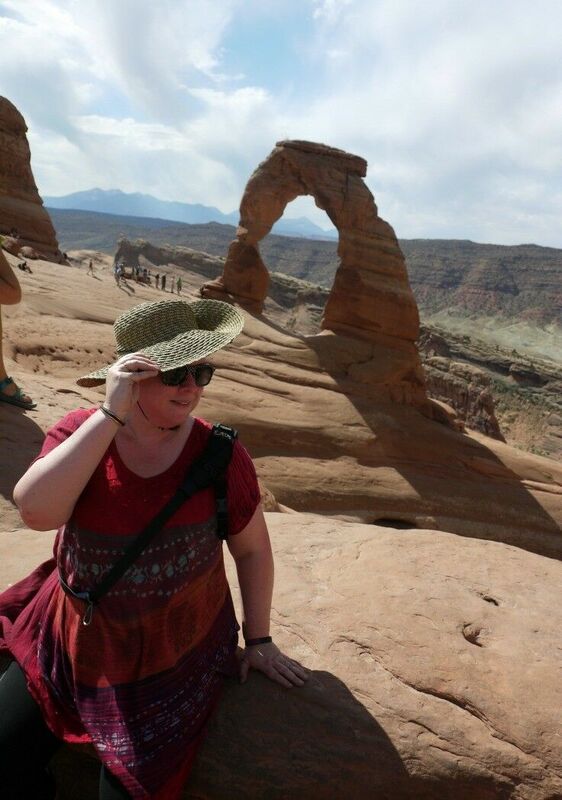 Getting to Delicate Arch requires a moderately challenging hike, but it is totally worth the effort! 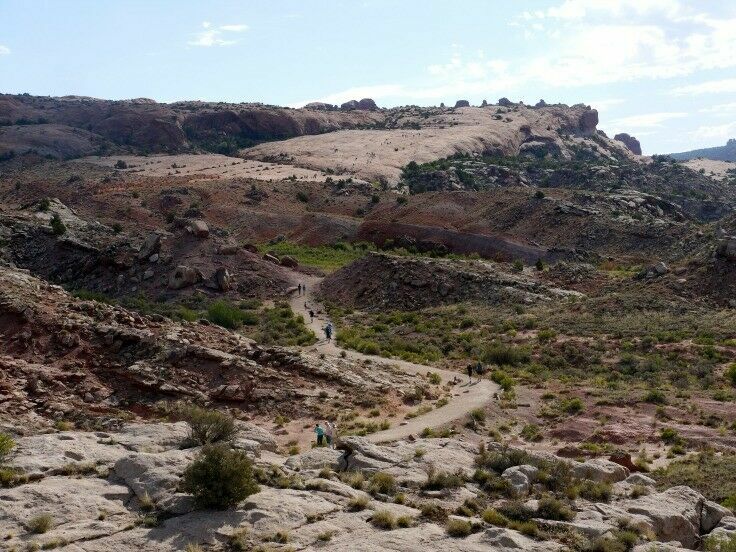 Plan for at least 2 1/2 hours to make the hike, go early to avoid the heat and crowds, and don’t even think of hitting the trail without taking twice as much water as you think you need. Pro Tip: This image was taken at about 9:30am. 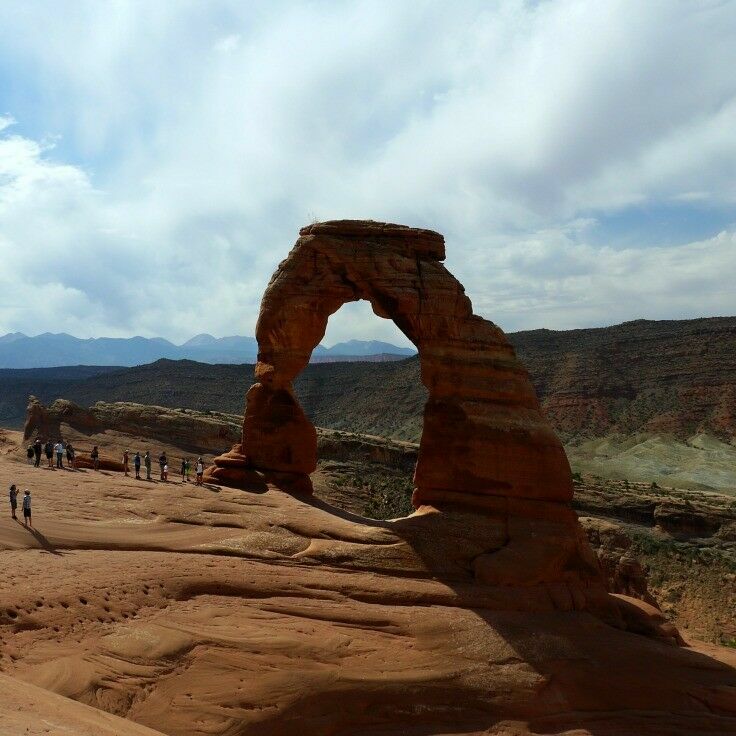 If you want to photograph Delicate Arch in all its glory, with the sun hitting all those amazing bands of red and rust just right, you’ll have to brave the crowds at sunset. Full disclosure: I totally made that name up. 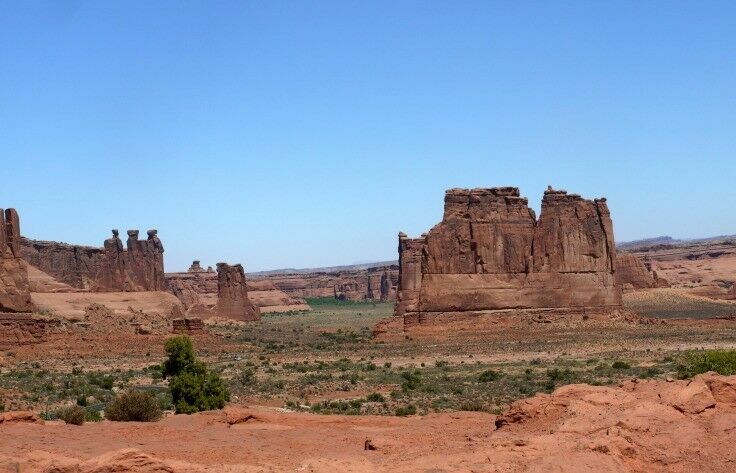 This place isn’t listed in any of the Arches National Park literature I could find, but it it one of the coolest places we saw at the park. (Literally. In the midmorning heat, it offered us some much needed shade.) I’m sure the ANP Rangers have a name for it, but I don’t know what it is. 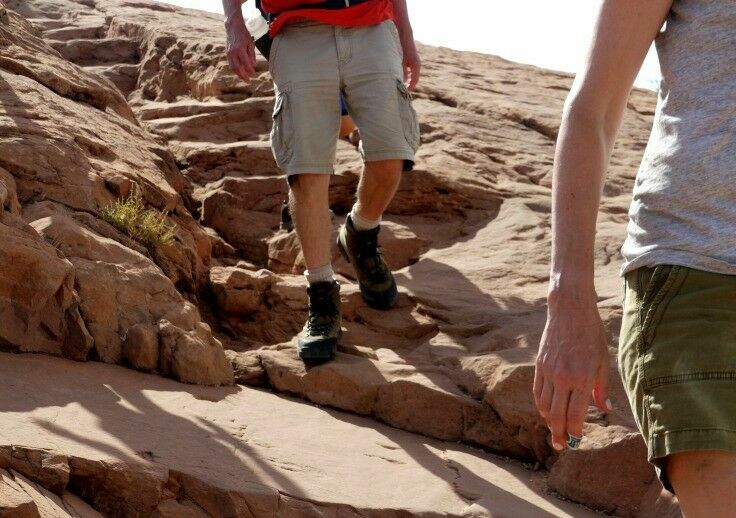 Whatever it’s called, you can find it a little more than three-quarters of the way up the Delicate Arch trail. What I do know is that when you arrive at this landmark, you should be smiling, because your destination is just around the corner! 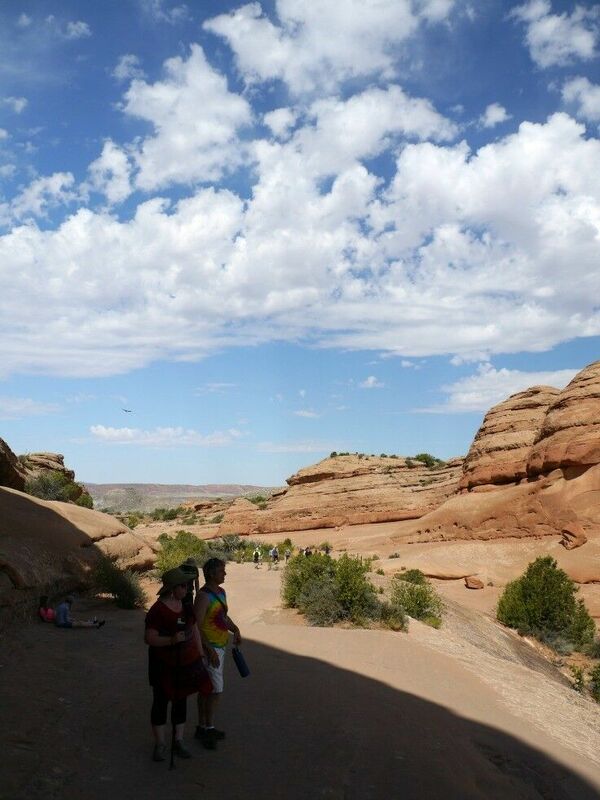 Before you continue though, take a minute to enjoy this mammoth formation and the stunning photo op it offers. If you look closely, you can see a couple of our kids cooling off in the recess. 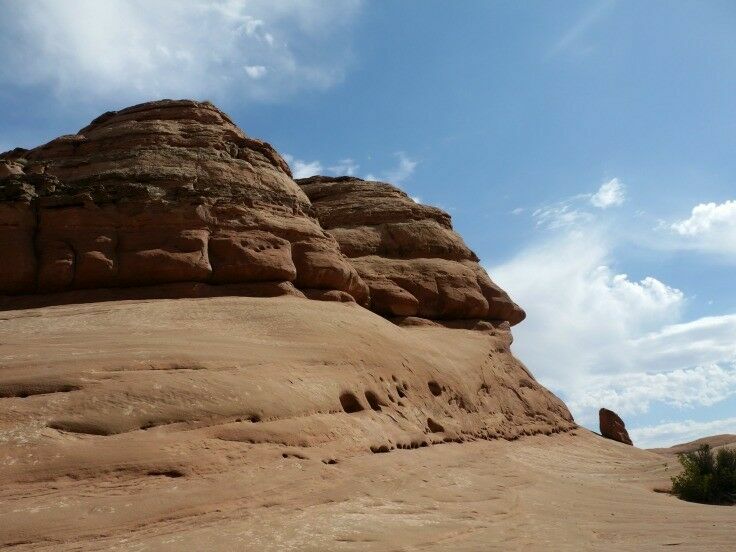 I don’t know why, but these particular formations just made me smile. I suppose it tickles me that the inspiration for naming Three Gossips is just so universal – nearly everyone has aunties or uncles or siblings or friends who could be those three. 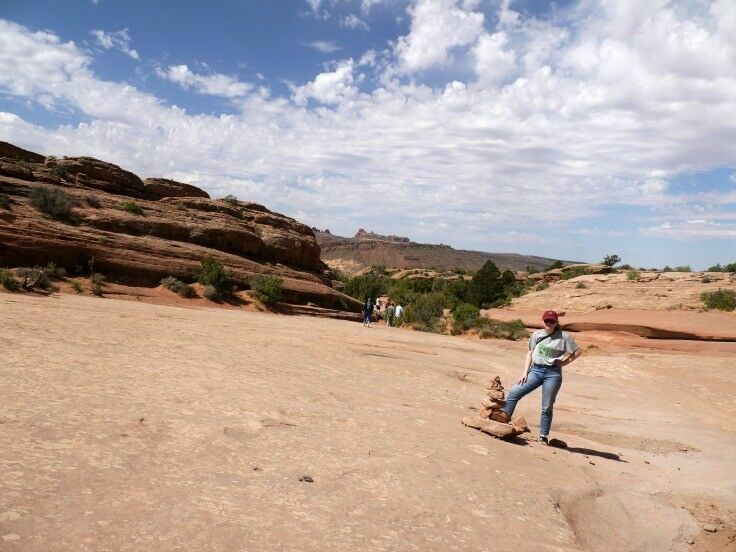 And who doesn’t love a giant stone sheep in the desert? 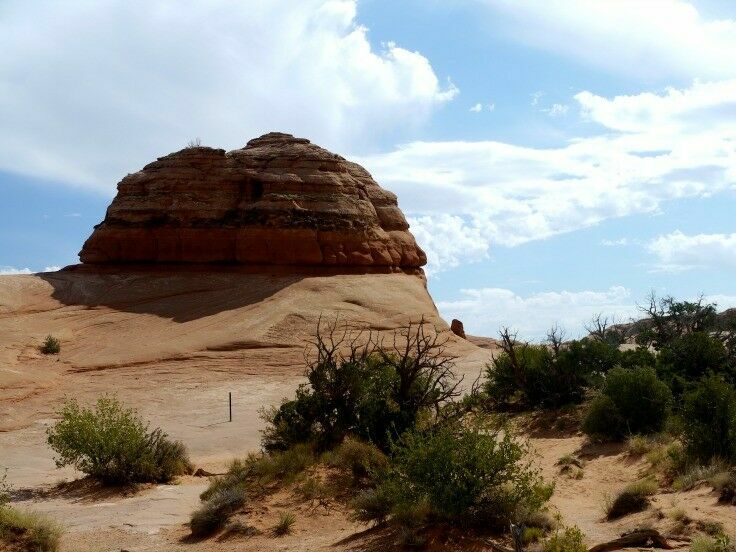 Three Gossips stands about 350 feet at its tallest wall and sits within a grouping of sandstone towers known as the “Courthouse Towers cluster” that also includes The Argon Tower, The Organ, Tower of Babel, Sheep Rock, and The Lamb. The arches may get the most press, but this majestic monolith took my breath away. 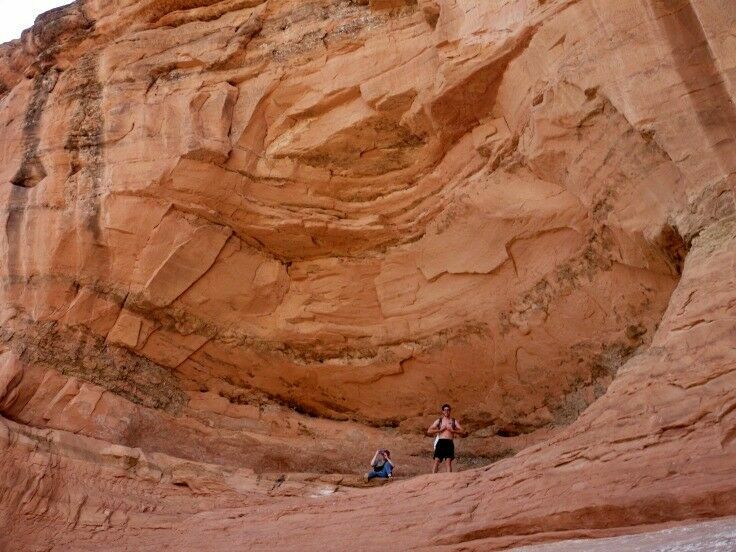 This image was taken from a roadside pull-out: no hike required. You know how every once and awhile you take a shot that makes you feel like the photography gods are on your side that day? 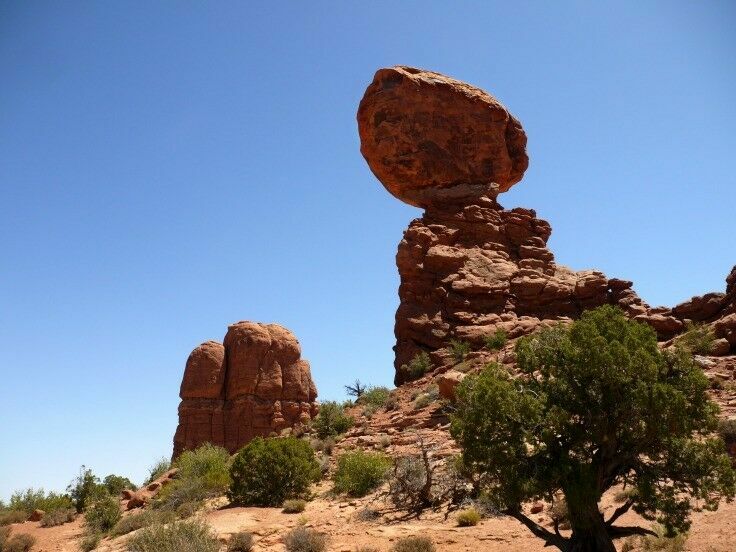 Balanced Rock can be seen from the park road, or you can make the very short hike around the formation’s base to get a close-up perspective. 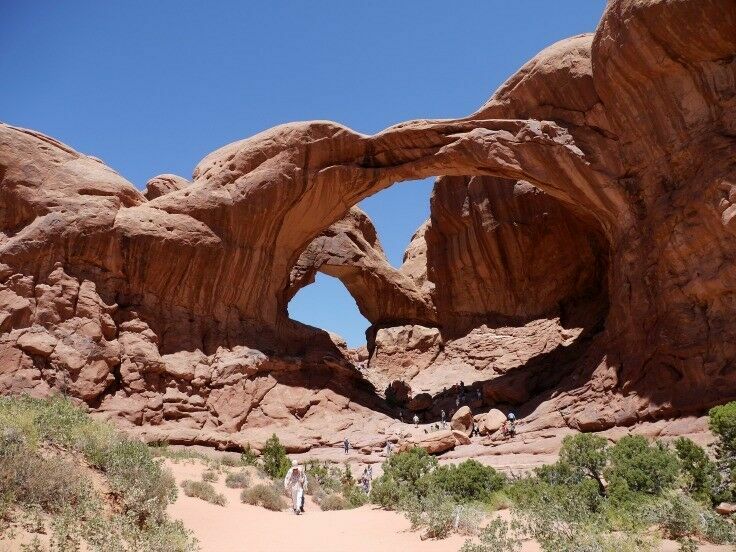 The Windows Section contains a large concentration of arches and is one of the most scenic locations in the park. 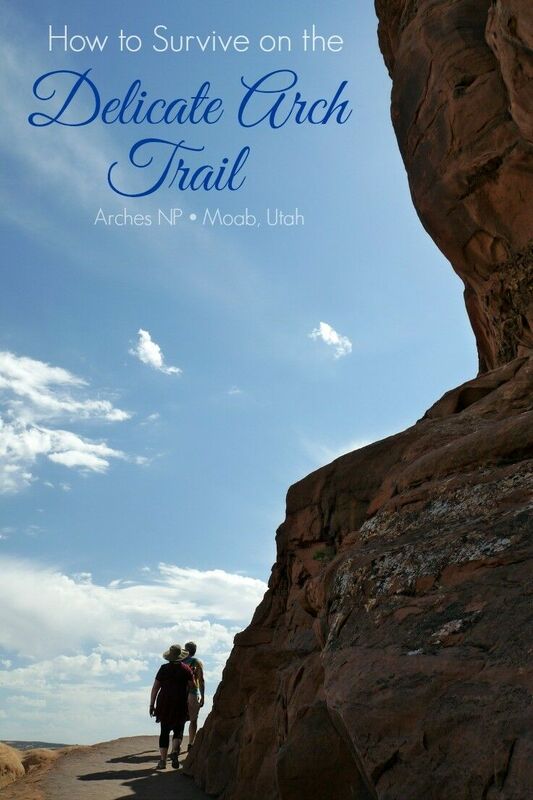 Double Arch is a Must-do when visiting Arches National Park! 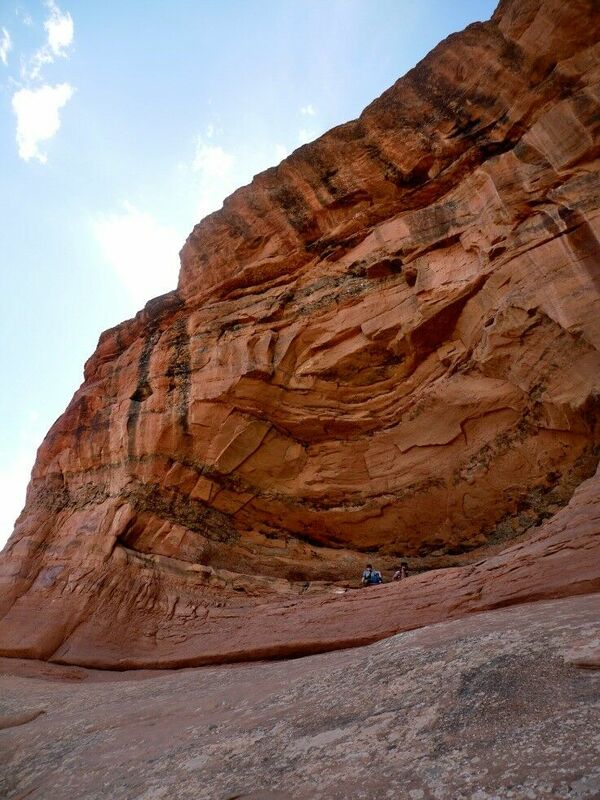 This spectacular flowing formation can be found in the Windows section of the park. 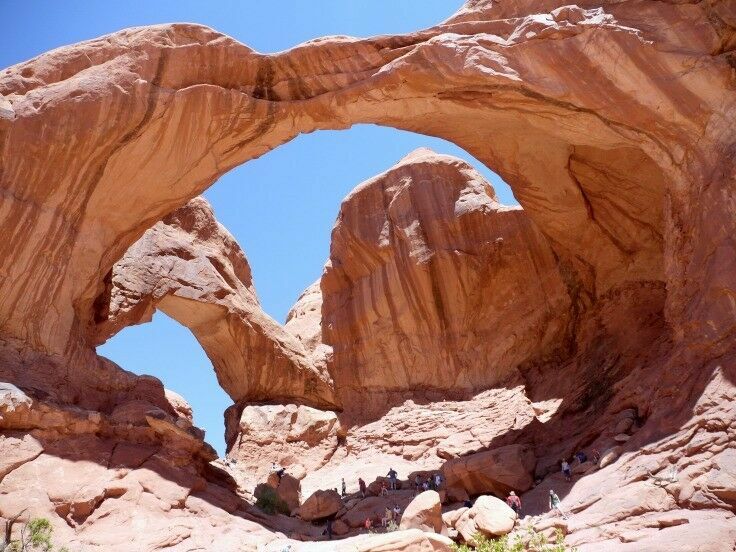 Double Arch consists of two arches that share the same stone foundation for both of their outer legs. 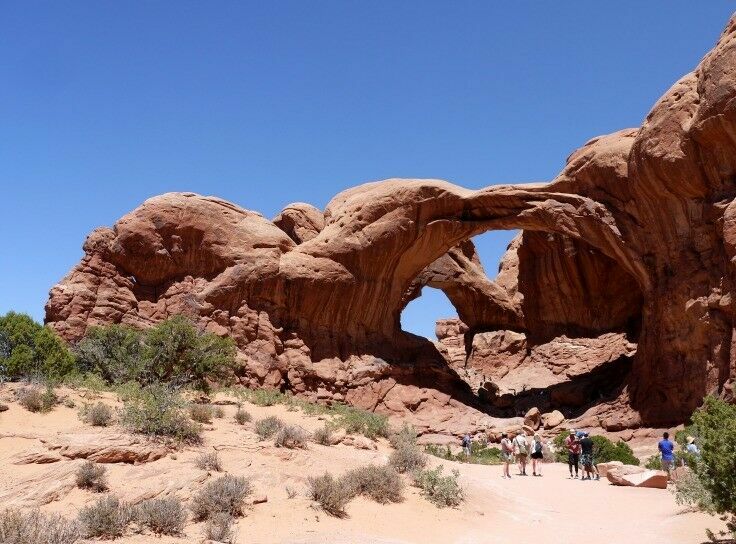 Taking the walk out to Double Arch is a lesson in perspective: the interlocking arches seem to grow to massive proportions as you get closer, and by the time you climb up into the arches themselves, you’ll finally know what those ants in your ant farm felt like. 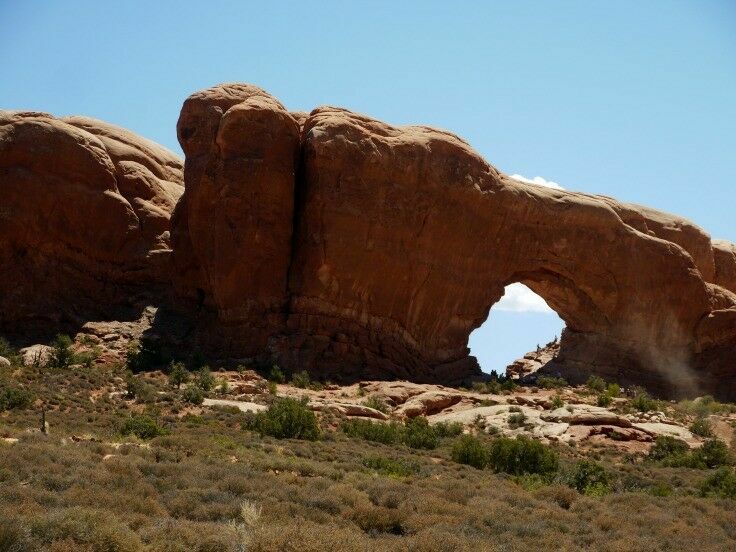 Arches National Park is open year-round, 24 hours a day. 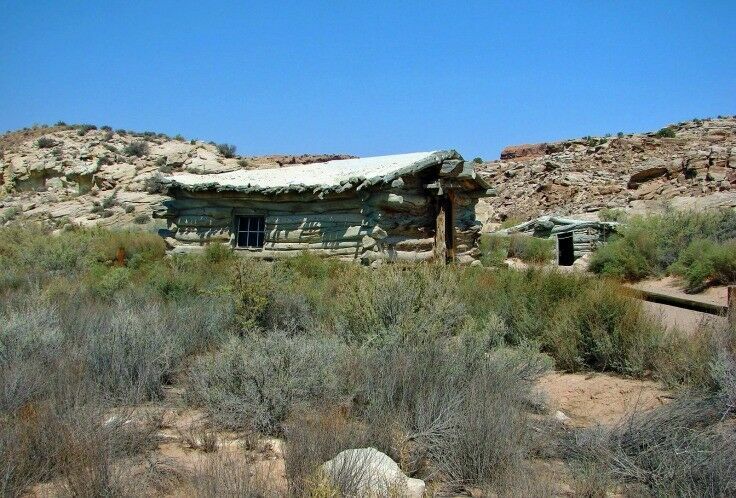 The park’s Visitor Center is located just inside the park, near the main entrance, with hours varying seasonally. 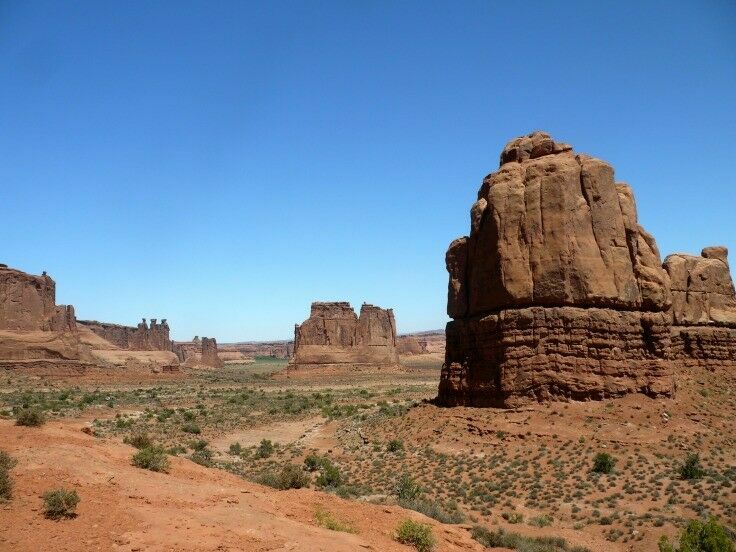 Vehicle Entrance to Park – $25 (good for 7 days). This fee includes all occupants of a vehicle. 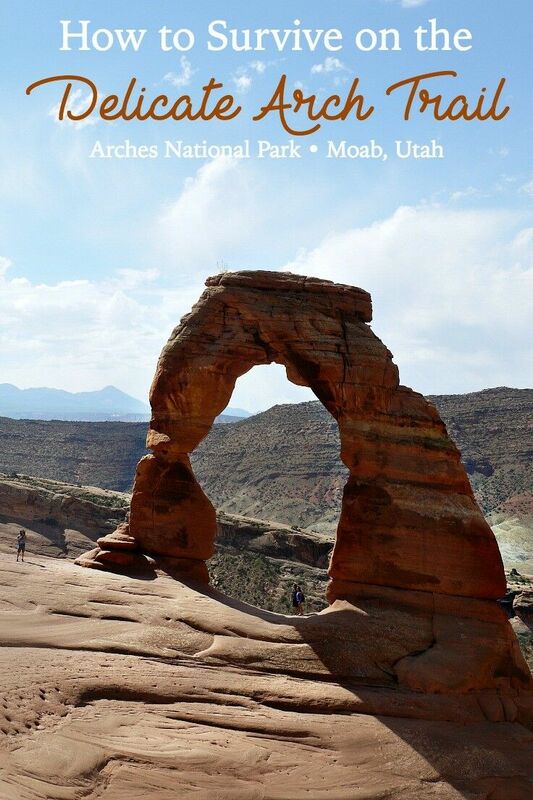 Individual Entrance to Arches – $10 (good for 7 days). This fee applies to bicycles and walk-ins (per person). Motorcycle Entrance – $15 per motorcycle (good for 7 days). 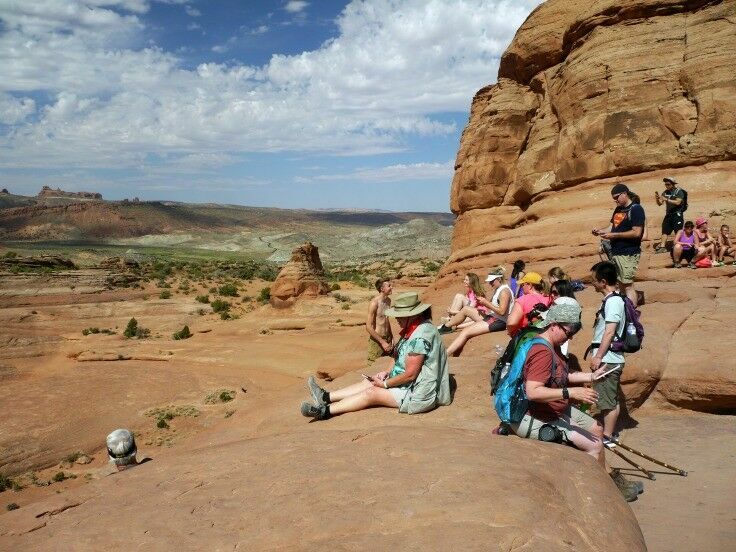 America the Beautiful – National Parks and Federal Recreational Lands Passis honored. Cost is $80. 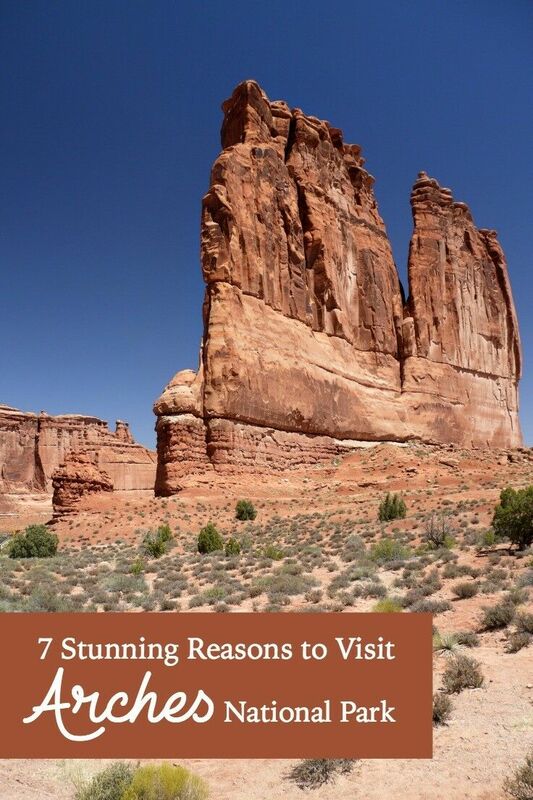 This is the best deal for people intending to visit multiple parks within a year’s time. 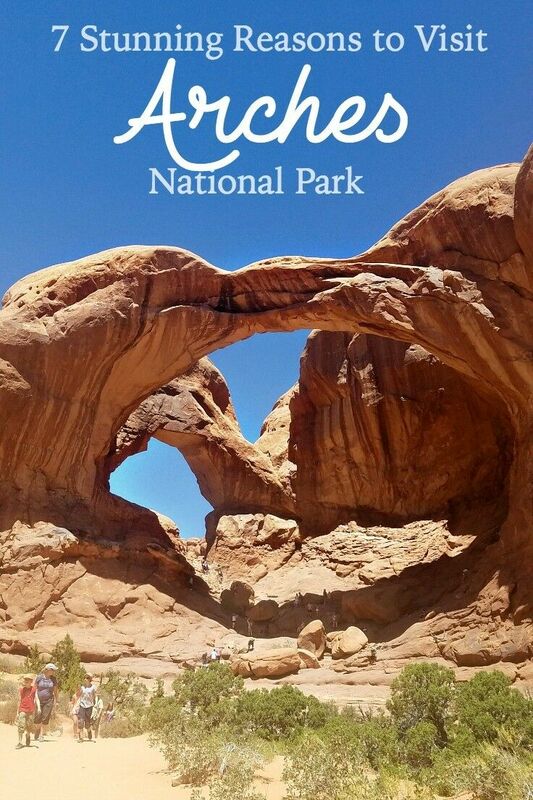 You can get NP Parks Pass online or at the park entrance. $50 valid through the month of purchase. 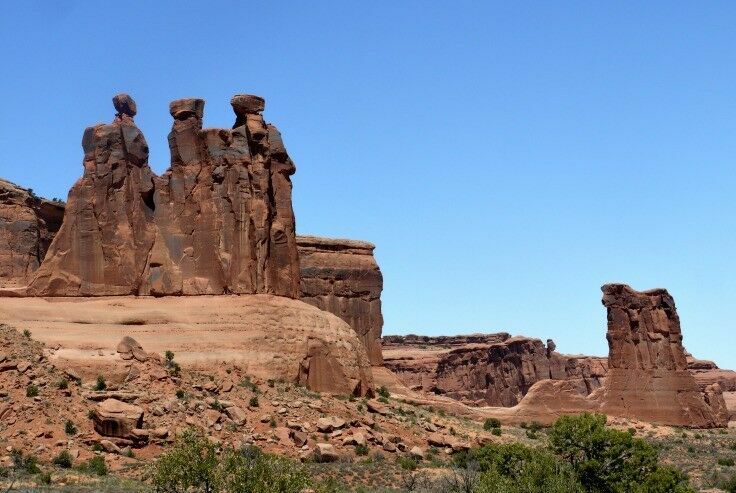 Admits 1 private, non-commercial vehicle or its pass holder to Arches and Canyonlands national parks, and Hovenweep and Natural Bridges national monuments. Thank you for being a faithful reader and supporter of The Good Hearted Woman. Be sure to Pin this post!